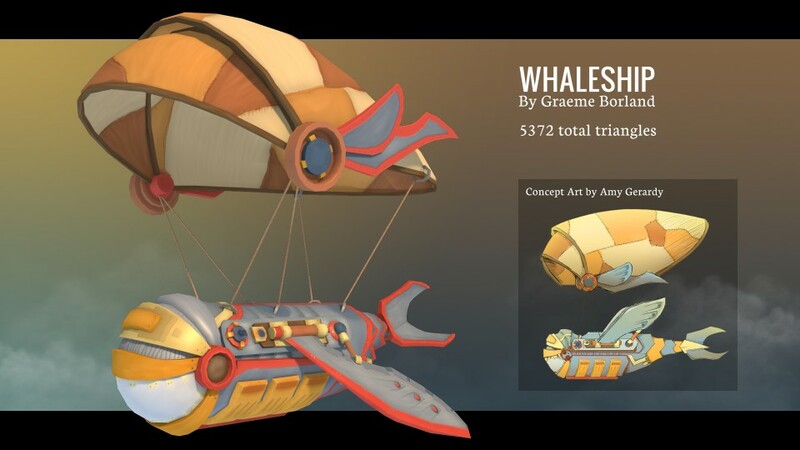 The Whaleship totals 5372 triangles. It was created mainly as an exercise for turning pre-existing concept art into a finished 3D asset. I put my focus on creating the 3D version of the object as accurately as possible, while still allowing myself to make small changes to its design to fully take advantage of the translation from 2D to 3D. 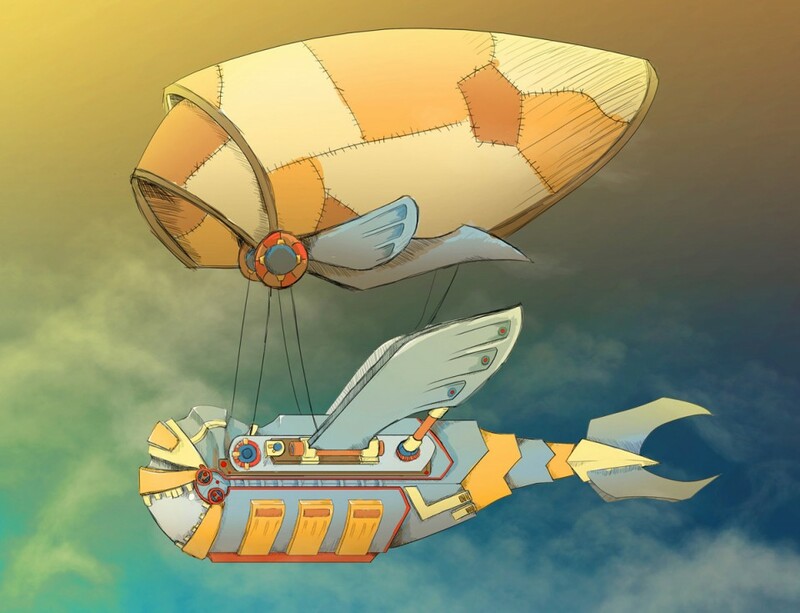 Below is a larger version of the original concept art by Amy Gerardy.